‘Local Conversations’ is a People’s Health Trust initiative which involves supporting residents to develop a shared vision for their community and take local action on issues that matter to them. Surrey Care Trust secured an investment of more than £300,000 from People’s Health Trust with money raised by HealthSound through The Health Lottery to get local people involved in setting up and running projects themselves, to make Stanwell an even better place to live, work, grow up and grow older. A steering group, which is supported by Surrey Care Trust, is now working with local people to determine how and when the money is best spent to achieve these priorities. 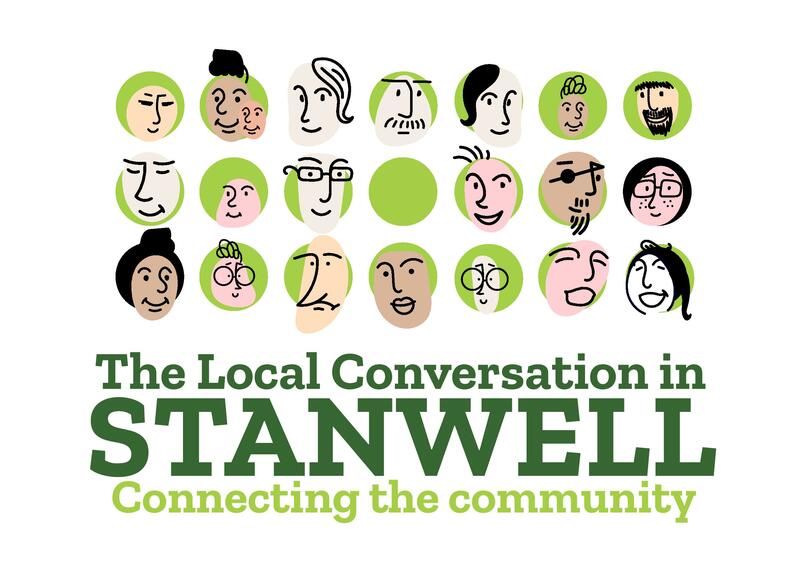 Monica Runke, the Community Development Worker is working in the community to ensure all Stanwell residents have the opportunity to get involved. Monica is based at the Community Hub, Lord Knyvett’s Hall, 112 High St., TW19 7JS – you can contact her via email monica.runke@surreycaretrust.org.uk or call 07825 410667. If you have ideas, can share your skills or just want to support your community then get in touch!